Having a small personalized healthcare practice allows for longer appointments that are never rushed, same-day visits without waiting time and the ability to reach me after hours on my personal cell phone. Healthcare is one of the most important aspects of your life. It is essential to have the right primary care physician in the right setting to deliver the care and attention you deserve. My practice is located in West Hills, California and serves patients in Canoga Park, Chatsworth, Northridge, Calabasas, Agoura, Westlake Village, Hidden Hills, Thousand Oaks, Simi Valley, Tarzana, Reseda, Encino, Sherman Oaks and Studio City. I am affiliated with West Hills Hospital and Medical Center. We love our Dr. Laving. He is the best. I am very grateful & extremely satisfied with Dr. Lavin. Dr. Lavin has been the most attentive & kind physician I have ever seen. He has put my mind to rest on more than one occasion. His understanding & concern to find the right diagnosis & treatment is invaluable. Dr. Lavin always makes himself available day, night or weekend. I am very grateful & extremely satisfied with Dr. Lavin. He felt like you cared about us, not just as patients, but as people. Bob and I became patients of yours well over 15 years ago, right ? Thank you Dr Lavin for all you do!! Dr Lavin has been our doctor for almost a dozen years. He's always made himself available whenever needed and provides the right level of care depending on the situation. Knowing that he's there gives our family great comfort. He's easy to talk to, knowledgeable, responsive, and flexible. Thank you Dr Lavin for all you do!! Thank you, Dr. Lavin, for all that you have done for me and my family. Dr. Lavin is THE BEST!!! I couldn't go to another doctor now. He's compassionate, he listens, and he doesn't rush you out. Thank you, Dr. Lavin, for all that you have done for me and my family. I am very grateful to have Dr. Lavin as my primary physician. I run a mid-size law firm and I am always dealing with a significant amount of stress. His care (and wonderful staff/team) has given me a lot of confidence in my health care, which reduces my stress level considerably. I have recommended his services to several of my colleagues. Thank you, Dr. Lavin! Dr Lavin has been our primary doctor for at least 15 years . 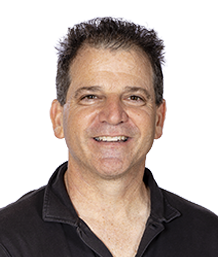 Dr Lavin has been our primary doctor for at least 15 years . He is incredibly intuitive and smart. He is always up on the latest medical info so we are confident that we are getting the best treatment. The four of us are healthier because of Dr Lavin. Dr. Lavin is absolutely the best on all levels! Dr. Lavin is absolutely the best on all levels! He will go the extra mile to resolve a health problem. He is always in a wonderful mood. Friendly & professional & so very smart. Dr. Lavin always there to help when needed!! Dr Lavin is the BEST. Dr Lavin is the BEST. He is not only my doctor. I may only see him for routine physicals and when I'm not feeling well. I know I can count on him for anything. Whether it's medical related or personal. The quick access to Dr. Lavin is incredible.